It’s the inaugural program year for Hartford InsurTech Hub, and over the last few months, our team has scouted and reviewed over 4,000 startups from 96 different countries and selected the Top 23 startups, which are from 8 different countries. These startups are using emerging technology, including AI, image recognition, IoT, blockchain, big data, and Natural Language Processing, to strengthen the value chain, to improve customer experience, and to change the way insurers work. These talented entrepreneurs have been invited to our Hartford, Connecticut offices where they will partake in Selection Days, which kick off Wednesday November 29th, and on Thursday, November 30th, we will choose the Top 10 finalists that will take part in our inaugural 2018 cohort. 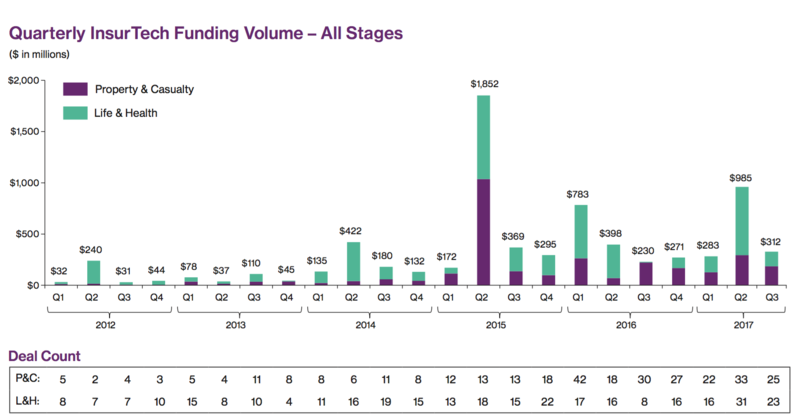 InsurTech has increasingly garnered interest from investors and insurers over the last 5 years. So far in 2017, we have seen $1.6 billion invested into InsurTech with the U.S. accounting for 50% of transactions1. Furthermore, Property & Casualty transactions comprised 52% of total transactions in Q3 2017, while four of the top six deals involved health insurance focused companies. While investors keep InsurTech in view, there is also a strong emphasis on partnerships as corporate insurers continue to partner with tech companies to explore themes, including connected cars, alternative distribution, smart home, and other areas. In a similar vein, of our top 23 startups, many are using emerging technology to transform the connected world (home, car, etc. ), sharing economy, usage based insurance, data security, cybersecurity, autonomous vehicles, and more. It is an exciting time for InsurTech, and there is no doubt that insurance is changing, and we can’t wait to see how these companies will contribute to that transformation. Description: Aureus is a customer intelligence & experience company that enables insurers to deliver superior customer experience leading to greater customer retention, loyalty, and lifetime value. They do this by leveraging Artificial Intelligence & Machine Learning technologies, and delivering actionable insights at the point of decision. Description: Boundlss is an analytics platform that analyzes data from wearable devices / apps to provide powerful performance insights based on Artificial Intelligence. Description: byteRyde (formerly Rensix Inc) is a new way to make sure customers always pay the lowest possible rates on their vehicle insurance. byteRyde leverages the data connected vehicles collect to demonstrate to insurers a customer’s unique and actual driving behavior and then collects and compares quotes from those insurers. Description: Click2Sure is a full-stack digital insurance platform which enables retailers, service providers, distributors and brokers to bolt on a selection of over 20 custom developed insurance products, at the point of sale. Description: Fenris reinvents the quoting process for global P&C insurance. Using its secure cloud-based platform, insurers leverage quality data enrichment, Fenris’ intelligent AI-based Analytics Engine, and proprietary scoring for streamlined, accurate underwriting results. Description: Flyzen provides real time flight monitoring, giving customers compensation for delayed flights from 1 hour onwards. They offer services such as lounge access and information on the next available flight. 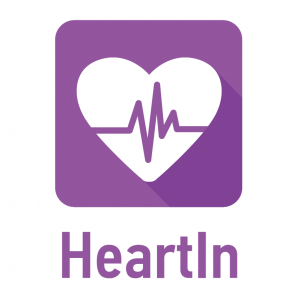 Description: HeartIn offers a cardio-diagnostic garment to monitor electrocardiogram in real time. The garment has the device attached, which is connected to a mobile app to make sports exercises more effective and monitor cardiac abnormalities for early heart disease detection. Description: Hindsait’s SaaS platform applies artificial intelligence to large healthcare datasets, helping payers and providers improve patient health at a much lower cost. 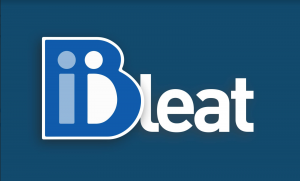 Description: iBleat has created a mobile app to connect every customer with any business worldwide easily and effectively via its own app (rather than company-specific apps). iBleat boasts a well-structured and complete interface to ensure all information is gathered from the customer at first contact. Description: InsureScan is a patented smart phone app for auto insurance that streamlines and simplifies the buying, policy servicing and claims submission process for consumers, using patented mobile technology. Description: Pentation Analytics provides state-of-the art analytics applications for the Insurance Industry, centering around its analytical product – Insurance Analytics Suite. Description: RozieAI delivers Natural Language Understanding and Deep Learning analytics to guide customer engagement to deliver real-time and historical visibility into social communications: topics of discussion and their trends, stakeholders and their interests, as well as sentiment. Description: SecureHome is a Smart Home cyber security network system. Customers get peace of mind that all their devices are not behaving in a way that invades their privacy, causes financial damage, or impacts their safety. 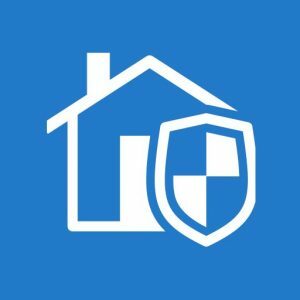 SecureHome leverages an enterprise grade intrusion detection system, behavior analytics, and machine learning to guard against smart home threats. 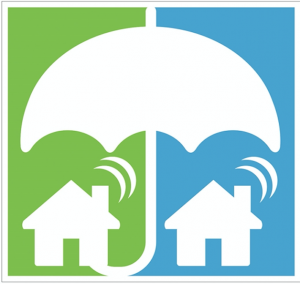 Description: SmartHome is multi-platform network which serves the insurance industry. The participating Smarthome devices / Smarthome Hubs connect to the SmartHome Insurance Cloud and share some of the data. The insurance providers connect to the same cloud and use it for the optimization of their business. Description: Switch Benefits provides an online platform to provide employee work benefits to freelancing and independent workers. Description: TeleLingo is a startup with the ambitious goal to save lives of drivers by observing and modeling their attention to prevent accidents caused by distraction and drowsiness. TeleLingo has developed LingoFit, the first Digital Assistant with Copilot expertise powered by Machine Vision and Artificial Intelligence. Description: Truedime is a P2P health insurance platform for international students. Description: Ubios helps landlords prevent water damage, save energy, and save on insurance by leveraging Big Data, Internet of Things and motion detection technology. They’ve developed a smart water valve, which is combined with a proprietary smart wall unit to detect when tenants are away and automatically shut the water to prevent 80% of water leaks. Description: ViewSpection is a DIY loss control platform that provides inspections and connections to the carrier directly from the policyholder. Description: Vijilent uses social media mining and data analytics to provide a summary of an individual. 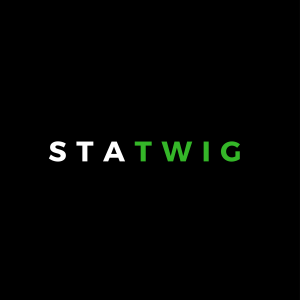 It supports legal teams with social searching and psycholinguistic analysis and filters data by machine learning and natural language processing. Description: WREK is a smartphone-based safety app for drivers. It allows the users to turn their smartphones into a dash cam with GPS positioning and automatic data recording features. This allows them to document the accidents accurately and create a full report in a single file. Description: Real-time insider threat protection. Yaxa focuses on building behavioral models by learning the user’s own access patterns continuously, and comparing the ongoing user sessions in real-time with the continuously updated models in order to detect deviations.